We don't eat much meat in our house these days. We are not vegetarian, we have just cut down on the amount of meat we consume in a week. Not only has it reduced the weekly shopping bill considerably, but it also makes us feel healthier. Are you cutting down on meat too in an attempt to stay healthy? If so, you are part of a growing trend for what is termed 'flexitarian' eating, as us Brits are now consuming less meat in favour of a more plant-based diet. Like myself, most are stopping short of becoming full-blown vegetarians, succumbing to the odd tempting meat like bacon or sausage. 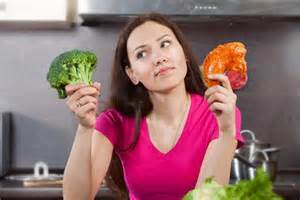 But a recent survey found 40% of folk interviewed agreed with the statement, 'these days I eat less meat than I used to', rising to 45% among women. A third of Britons said they were actively choosing to eat less meat'. Among the younger generation, 28% of 18 to 24 year-olds agreed that 'by 2025 my diet will probably be mostly meat-free'. The survey was carried out by Forum for the Future, an environmental think-tank, and they have concluded that this 'flexitarian' movement is being driven by women and people aged 15 to 34. They say that as women are the primary grocery shoppers in the majority of households (except ours! 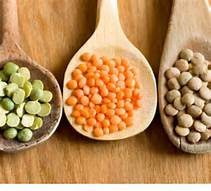 ), grocery retailers will need to respond to a growing demand for diets richer in plants and lower in animal products. 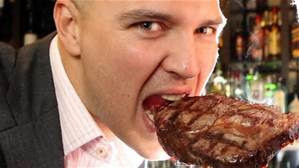 The study added that the public opinion towards eating meat is clearly shifting and moderation is becoming mainstream. This is good news, I would suggest! Likewise, the research found that 52% of under-35s thought eating a full English breakfast was bad for you, while a third of adults believed that by 2025,parents will not feed their children hamburgers or sausages. But this is not just a British phenomenon, the study found that Western Europeans are increasingly cutting back on meat - eating 10% less in 2009 than in 1990. However, lets not underestimate the effect of medical research on eating habits. Some Brits may be cutting back on red and processed meat after they were linked to cancer by the World Health Organisation. Other concerns include the excessive use of antibiotics in livestock, leading to fears that farms are increasingly becoming breeding grounds for drug-resistant bacteria. If you are a meat eater, then there is some respite from the meat industry-funded Meat Advisory Panel, whose dieticians say that lean meat is a nutritious and safe food when eaten in moderation as part of a balanced diet rich in fruit and vegetables . They advocate that a healthy diet can include up to 500g of red meat each week, so that the 95% of people who currently enjoy eating meat do not have to give it up. 'Moderation in everything' is my mantra!